This article is round 2 from a recent article I wrote at http://www.whiteboardcoder.com/2014/08/git-and-rsync-folders.html . I am dealing with another folder that does not have a nice structure. In this case I may have folders three levels deep and folders one level deep I want to rsync and not store in the .git repo. 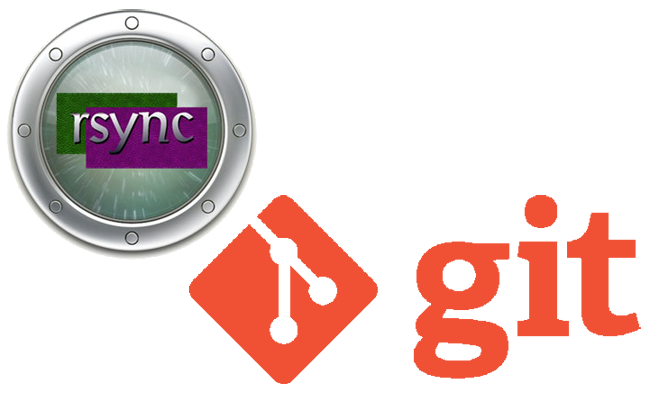 Also, aside from the structure and shell scripts, I do not want to store anything in git,, except the folder structure up to the rsync script. I like my round 2 solution better than my previous ones. I think I will roll it out to my other folders where I have rsync needs. For this git repository I only want to see my scripts, and the folders they are in. Place the following in it. Create a default script that will be copied to each directory. After this is done create a script that will copy this script into each folder, rename it and replace the XXXXX with is parent folder name. This will find all folders that have a file named .rsyncme.sh . It will replace the file with the generic one. It will then replace the XXXXX with the folder name. After you have set up the base directory on the server you run the runallpush.sh script to rsync everything. After this head into one of the directories from the command line and pull your data (rsync) edit command for your username. And of course make sure your .gitignore is ignoring the folders you intent to rsync and not the .rsyncme.sh scripts themselves. I had an issue trying to set up .gitignore in another folder. Instead of fighting the nightmare that can be .gitignore I did the following. Set up .gitignore to ignore the folders you want to ignore. Then place .rsyncme.sh files in the folders you want to rsync. Finally run this command line command to add all .rsyncme.sh to the git repo.